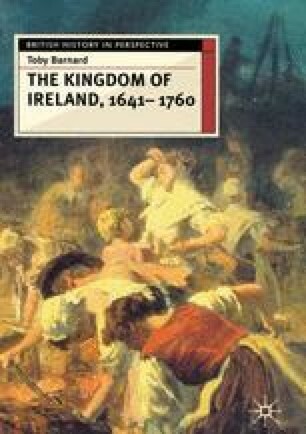 Late in October 1641, Catholics in Ulster killed Protestant neighbours, ejected more from their homes and seized the settlers’ properties. The insurgents had intended to synchronize their actions with the capture of the English governors in Dublin. Once they controlled the government, it was expected that mastery of all Ireland would soon follow. But the Dublin plot was forestalled. Despite this reverse, others throughout the kingdom soon joined the bands in Ulster. The insurrection was not suppressed until early in 1653. Immediately questions propose themselves. Why did Ireland rebel? Why did the revolt last so long?